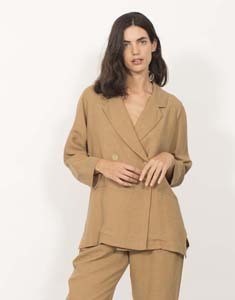 Blazer in viscose and linen fabric. Collar with flap and with raglan and long sleeves. Double button closure and front pockets. Contrasting detail on the inside of the nape and vivid contrast cotton to polish the seams.